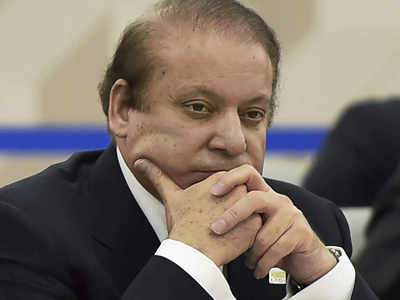 The Islamabad High Court (IHC) will today hear the bail plea of jailed former Pakistan Prime Minister Nawaz Sharif on grounds of his failing health. According to reports, a two-member divisional judge bench, comprising of Justice Aamer Farooq and Justice Mohsin Akhter Kiyani, will also hear a petition seeking suspension of the seven years prison sentence on Sharif pronounced by an accountability court in Lahore in December last year. Sharif`s counsel Khawaja Haris on Saturday filed a petition seeking bail for the former Prime Minister on medical grounds. The IHC had earlier fixed February 18 to hear appeals of the former Prime Minister, who has been sentenced to seven years jail in the Al-Azizia Steel Mills corruption case. He is incarcerated in Lahore`s Kot Lakhpat Jail.A medical panel last week recommended that Sharif should be shifted to hospital for “optimal management” of his failing health, along with some changes in his medication to treat his high blood pressure and diabetes as well as further tests. The board in a report added that Sharif has a past medical history of hypertension, Type 2 diabetes, ischemic heart disease and kidney stone disease.